Women from the Bantu Community! We are the members of the Somali Bantu Women's Basket Weaving Program. 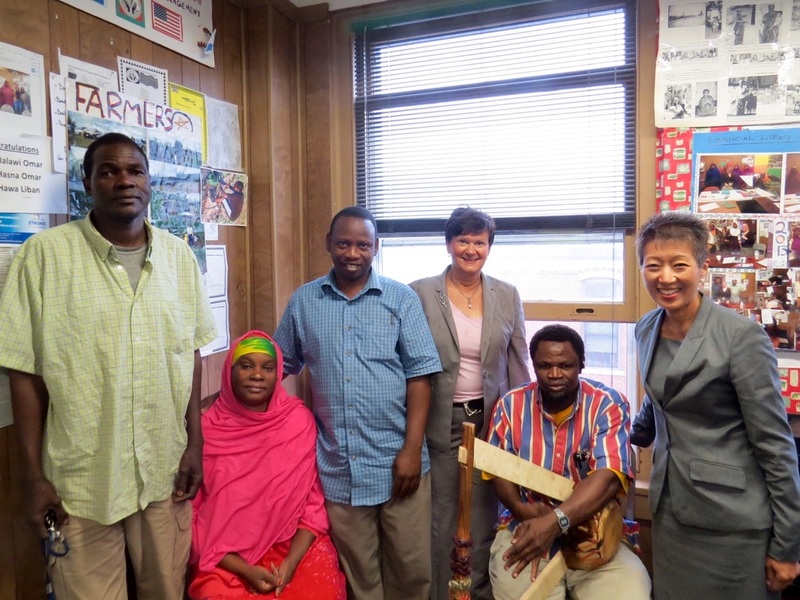 We were recently honored with a visit by Jane Chu, the Director of the National Endowment for the Arts, with Julie Richard, the Director of the Maine Arts Commission. They were interested in our Apprenticeship Project with the Basket Weaving Program. Jane Chu, Director of the National Endowment for the Arts, and Julie Richard, Director of the Maine Arts Commission visit our office!